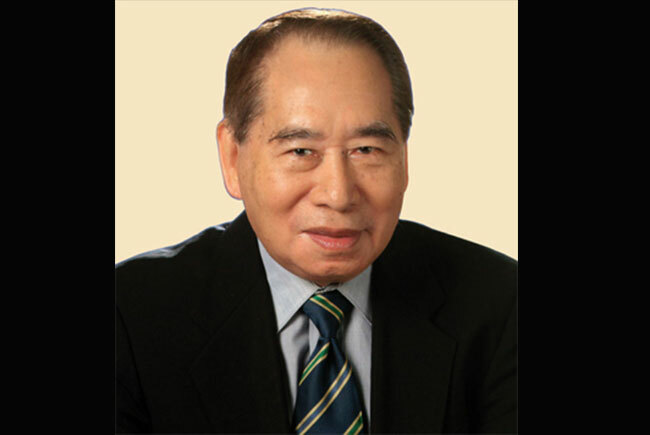 Property, retail and banking tycoon Henry Sy whose conglomerate owns the chain of SM Supermalls in his country and China has retained the title of the Philippines’ richest person for the eight consecutive year, with his net worth up $1.7 billion from last year to $14.4 billion. Forbes Philippines, which puts together the list, said Thursday that the value of Sy’s publicly traded conglomerates SM Investments rose 17 percent and SM Prime Holdings 20 percent over the past year. His companies announced record income from banking and retail businesses and two new mall partnerships in 2014. Sy also has a stake in privately owned power supplier National Grid Corp.
John Gokongwei Jr. of JG Summit conglomerate that owns SM’s rival, mall chain Robinsons, is the second richest with a net worth of $5.5 billion. Forbes said Gokongwei moved up three spots after his company’s stocks rose 30 percent, boosted by revenue growth in its petrochemical business and investments in Meralco, the Philippines largest power distributor. JG Summit also has interests in food and beverage, airlines, telecoms, property development, banking, retail, and hotels. Forbes compiles the net wealth of the Philippines’ richest based on stock prices and exchange rates, with the value of private companies based on similar companies that are publicly traded. Alliance Global’s Andrew Tan climbed a notch to the third place despite a drop in his net worth to $4.5 billion from the previous $5.1 billion. His company’s stock price is 11 percent lower due to a drop in income from its resort and casino operations. Lucio Tan of LT Group whose businesses include stakes in beverages, tobacco, distilled spirits, banking and property was fourth with a net worth of $4.3 billion. Tan is also chairman of Philippine Airlines. Fifth was International Container Terminal Services’ Enrique Razon Jr., who is worth $4.1 billion. Rounding out the top 10 are George Ty, the Abotiz Family, Jaime Zobel de Ayala, David Consunji, and Tony Tan Caktiong.